Posted in: The Interviews. Tagged: "Wild" Mick Brown, Dokken, Doug Pinnick, George Lynch, Jeff Pilson, Lynch/Pilson, T&N, Tim "Ripper" Owens, Tooth And Nail, vocalist Sebastian Bach, Wicked Underground. Chemistry – good and bad – is everything. 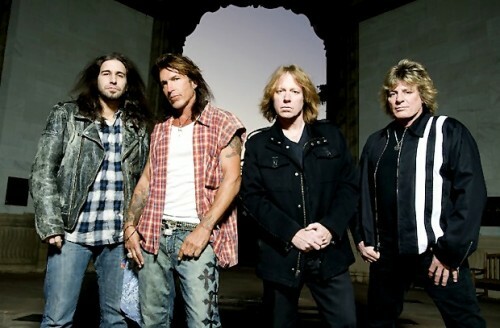 In the case of ‘80s bashers Dokken it was the mix of frontman Don Dokken, guitarist George Lynch, bassist Jeff Pilson and drummer “Wild” Mick Brown that yielded four cult favourite albums – Breaking The Chains (’81), Tooth And Nail (’84), Under Lock And Key (’85) and Back For The Attack (’87) – that are still cited as some of the best from that era. It was also the cause of legendary in-fighting between Don Dokken and Lynch, resulting in several break-ups and make-ups right up to 2010. And while the pair may never see eye-to-eye, the trio of Lynch / Pilson / Brown still have a strong working relationship that has resulted in a Dokken reunion of sorts through new band T&N. Originally dubbed Tooth And Nail but forced to change their name for legal reasons, the band – also featuring S.U.N. / ex-Whitesnake drummer Brian Tichy – have released Slave To The Empire, a record that recalls the classic Dokken vibe. Something many fans will agree the current incarnation of Don’s long-suffering band is unable to do at this stage of the game. Lynch has stated in several interviews that the music written for the T&N debut was originally intended for a new Lynch Mob record. Pilson was invited to come in and help with the songwriting, which slowly but surely drove the music in a direction other than what Lynch had envisioned. Rather than scrap the songs or tell Pilson to take a hike, the duo opted to launch T&N. So, love it or hate it, folks can blame Slave To The Empire on the Pilson Factor. Conceivably, Lynch could have limited Pilson’s input on the original song ideas rather than collaborating like they did in the Dokken days or for the lone Lynch/Pilson album, Wicked Underground, from 2003.